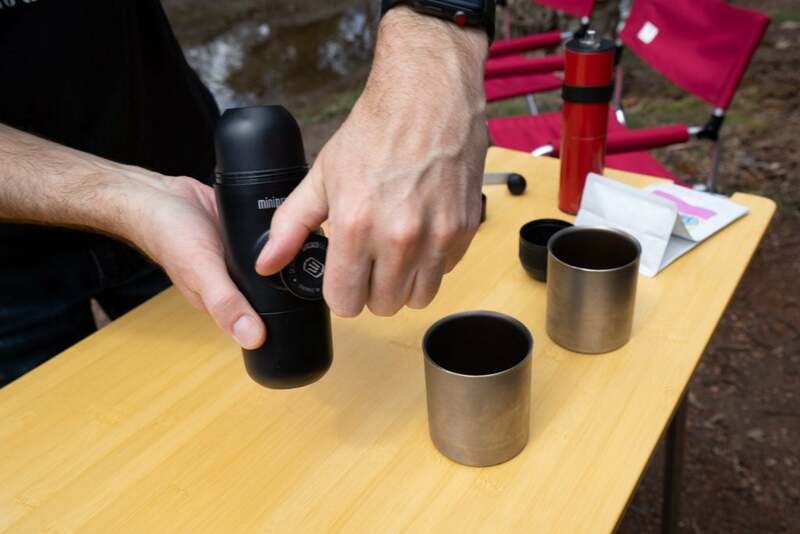 Can you imagine heading off on an adventure without coffee? Neither can we! 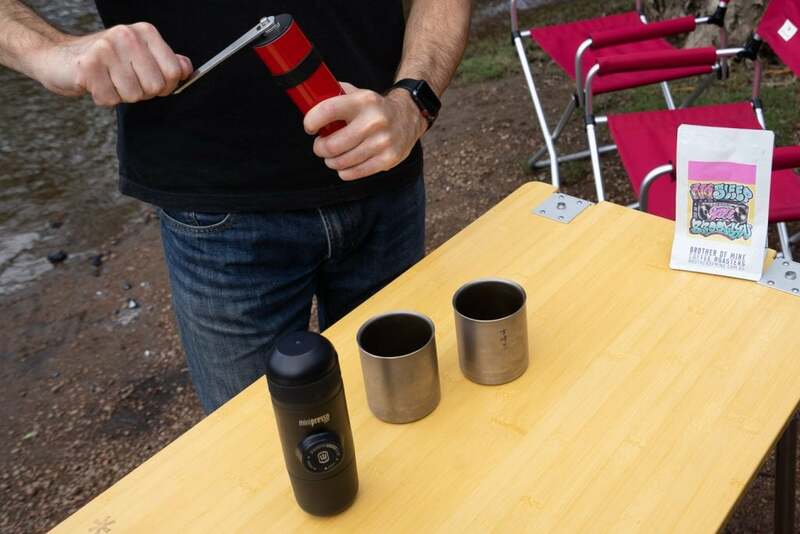 That’s why we’re putting together a series to look at a bunch of ways to brew coffee on the go. We hope to find that perfect method for everyone! 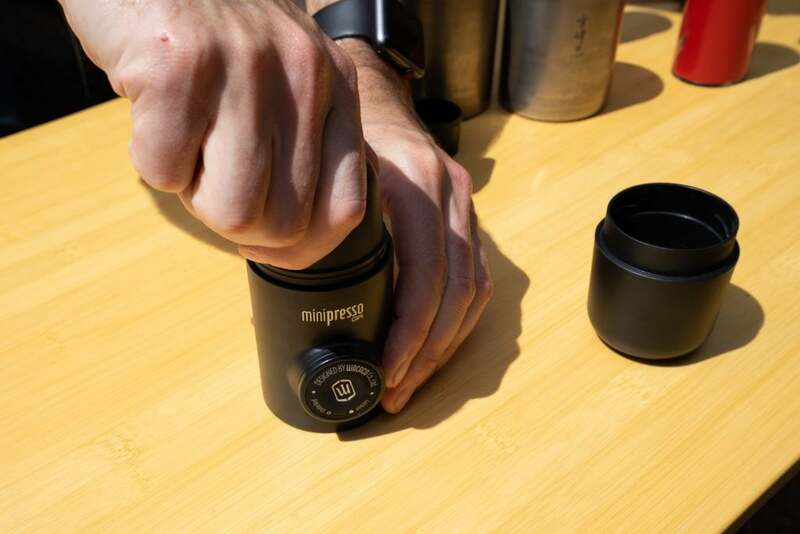 First up we check out the Minipresso from Wacaco, a popular, hand-held and manually operated coffee brewer that produces single espresso shots. We’ve experienced lots of brewers during our adventures and this one couldn’t be any easier. It all starts with freshly roasted coffee, seek out your local coffee roaster and buy fresh. Look for a ‘roasted on’ date, not a ‘used by’ date. You’re looking for coffee preferably no older than two weeks from roast. Today we’re brewing freshly roasted coffee from a local roaster, Brother of Mine. 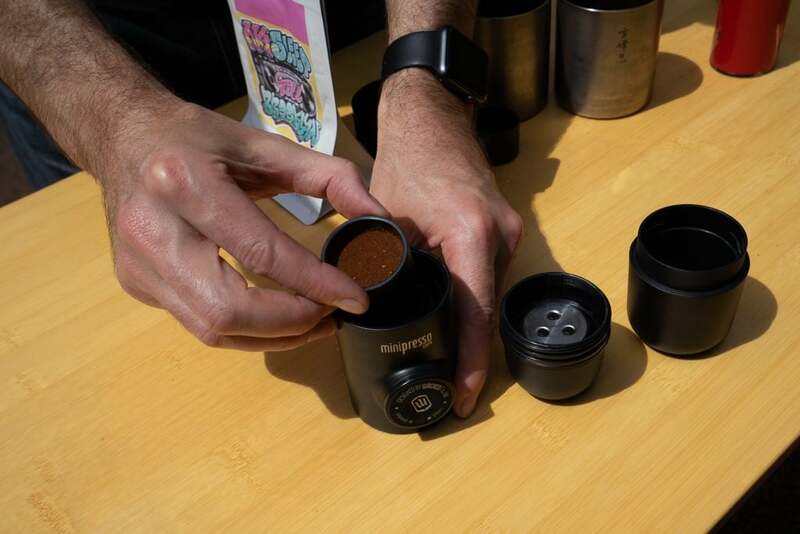 Set your hand-grinder to ‘fine’ and grind enough to fill the Minipresso scoop so it is level. 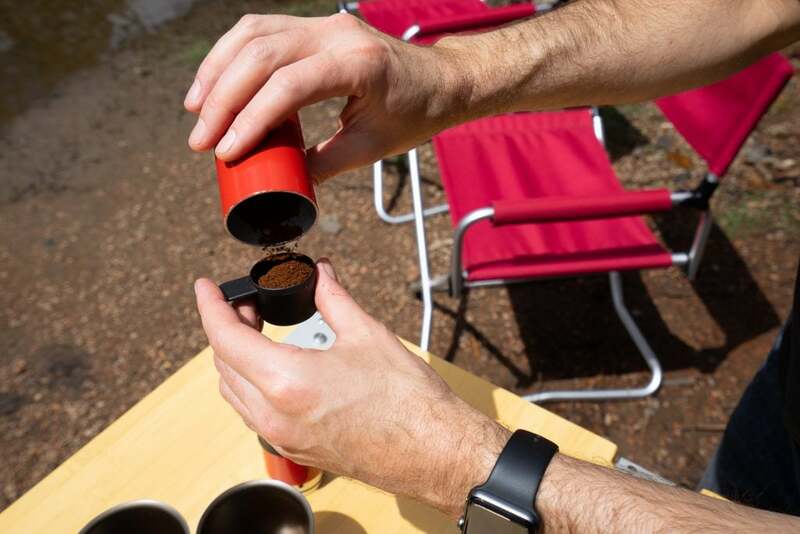 “Grinding on demand” means to grind your coffee beans fresh, right at the moment you intend to brew your coffee. 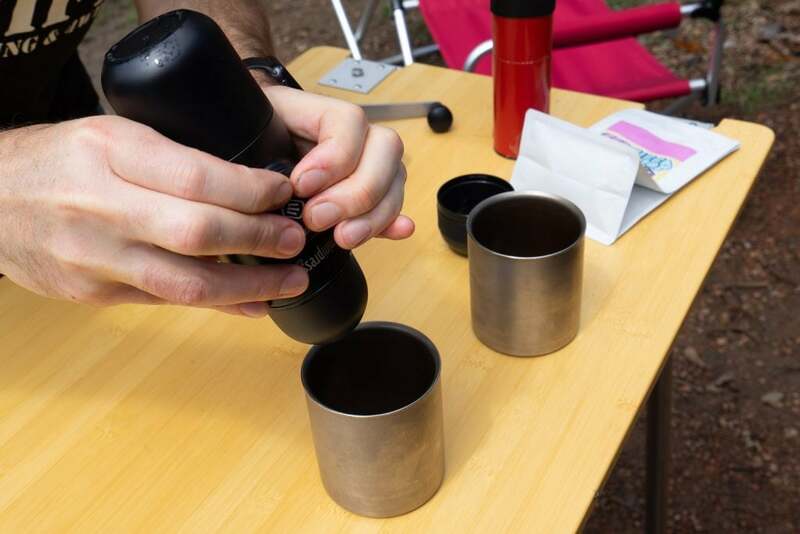 If you don’t have a hand-grinder, we highly recommend purchasing one. We’ll look at a few good ones at a later date. 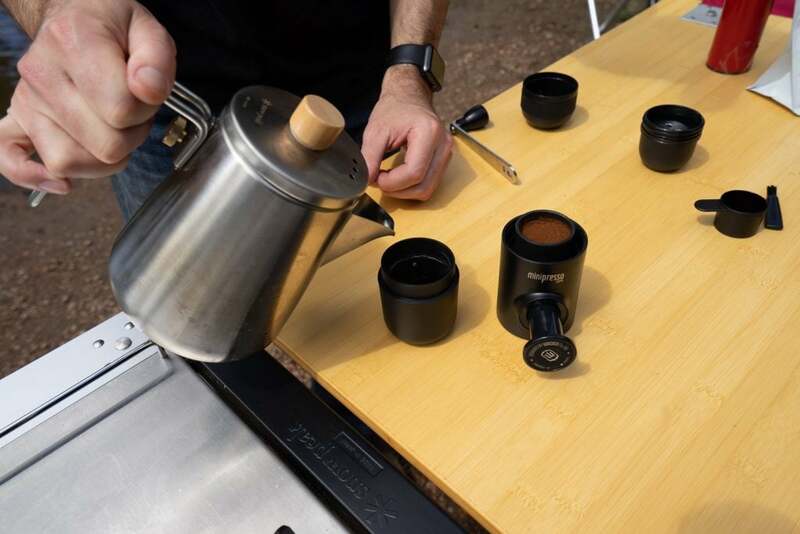 ‘Flip’ the grinds-filled scoop into the coffee basket and gently ‘tamp’ (press) the coffee down with the base of the scoop to form an even and flat surface. Place the basket into the top of the minipresso, it should fit snuggly. Fill the water reservoir to the indicator line with hot water off the boil. Be careful when handling boiling water. 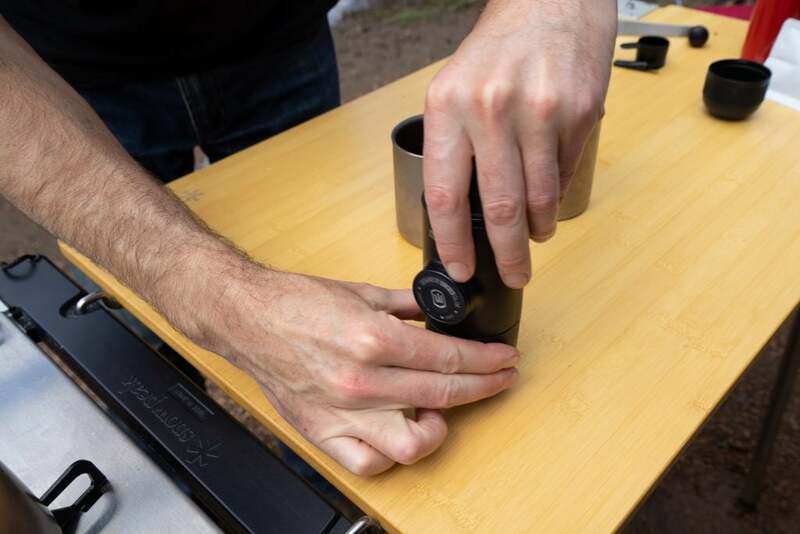 Gently screw the brew cap on to the Minipresso over the coffee basket ensuring it is firmly secured. With the brew cap attached, place the entire unit on top of the water reservoir and screw together firmly. 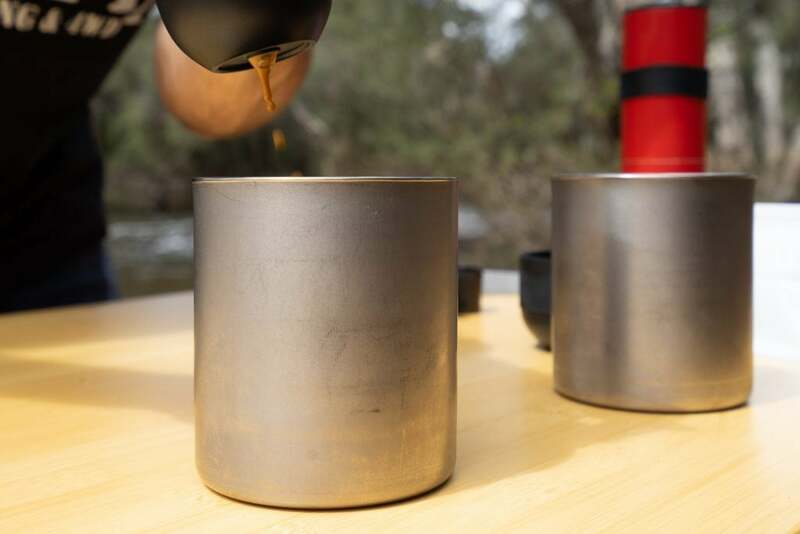 Just pump the piston repeatedly until the coffee starts to extract. Continue to pump the piston until you reach your preferred extraction. We like to stop the extraction when the coffee starts to ‘blonde’ (is looking white and watery). 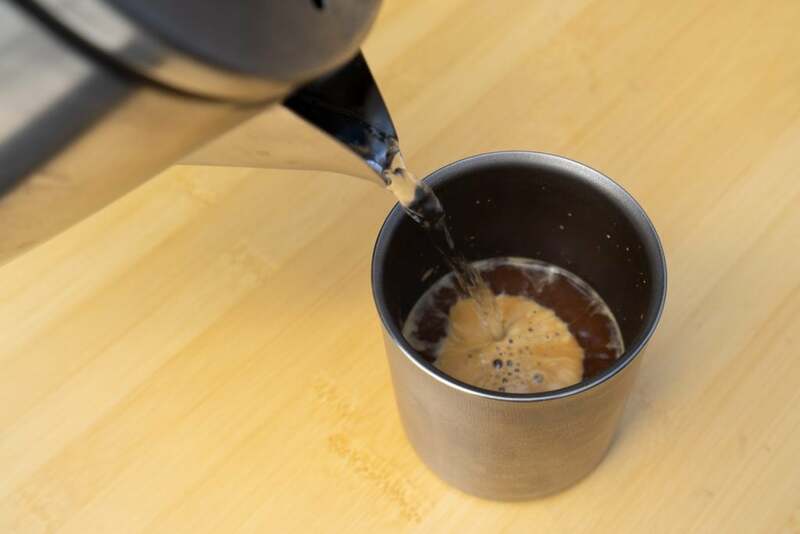 For today we’re enjoying some long-blacks, so we’re topping up our coffee shots with some hot water. Freshly brewed long-blacks for all! 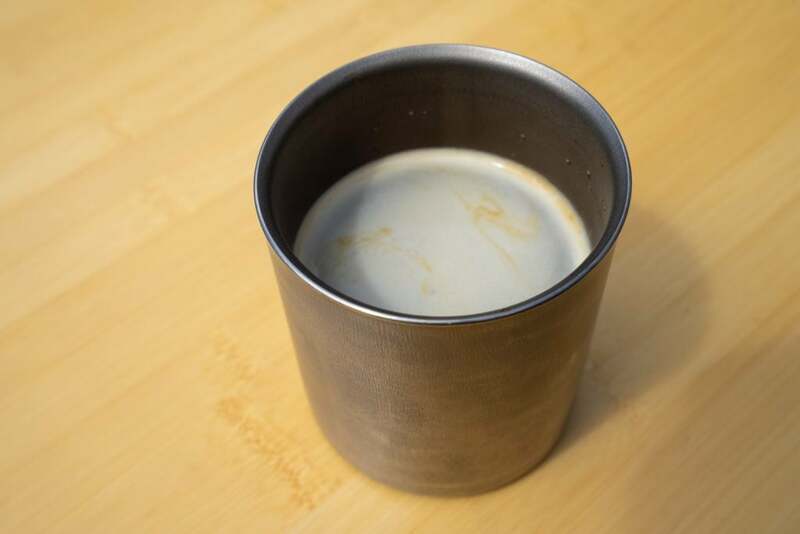 Of course, you could have an espresso, or even a flat white or cappuccino if you have a means to texture some milk. Keep your eye out for more ways to brew soon.